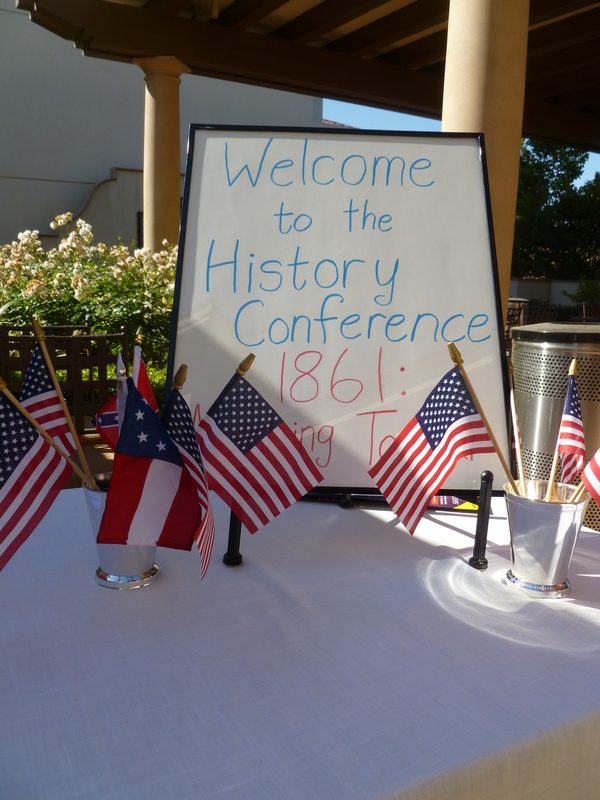 Perhaps in the last few months, you’ve seen the announcements regarding a new Civil War History Conference in Southern California? The event took place yesterday (Saturday, June 4th) and was attended by about 60 people who enjoyed it with positive enthusiasm. 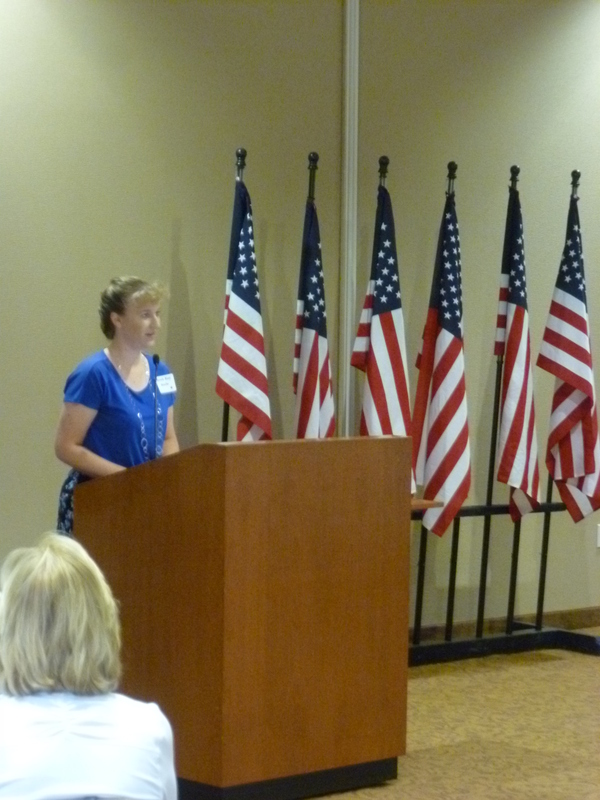 Sarah Kay Bierle shares about the civilian experience in 1861, telling the story of the citizen soldiers and civilians of the 1st Minnesota and 2nd Virginia Regiments. Three speakers took the podium in the morning session. 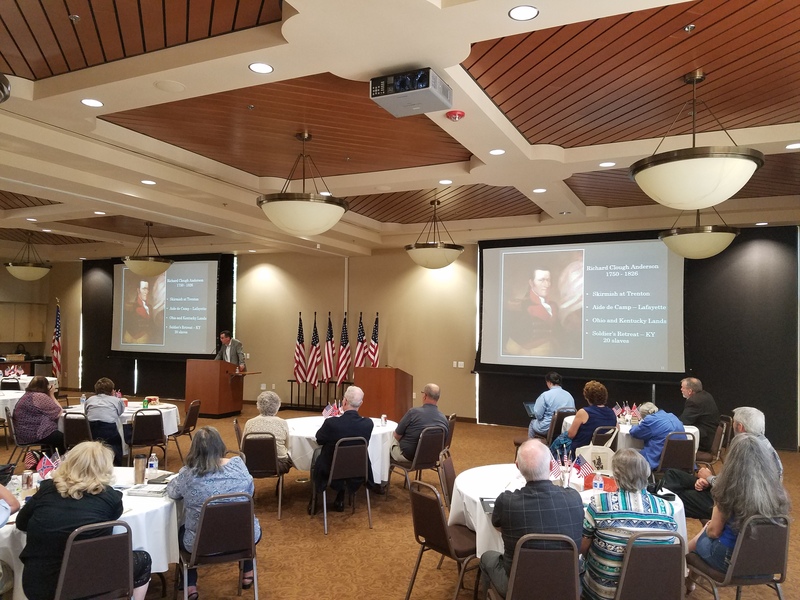 John Smoley discussed the life of Jefferson Davis and briefly touched on some of the 1861 Southern theories of states rights and war causes. NPS Historian Robert Munson shared about the early war actions on the water, surprising listeners with the amount of naval and maritime stand-offs prior to Fort Sumter. Sarah Kay Bierle shared about the unique experience of civilians in 1861, forming armies, creating the homefront, and awakening to realities of war. The lunch hour gave speakers and guests a chance to meet and mingle. Good discussion of Civil War themes occurred and topics were explored in greater detail in the small group setting. A doorprize raffle concluded the noon hour with a giveaway of books and Civil War themed gift baskets donated by the speakers and event staff. Bruce Carver gave the first presentation of the afternoon session, sharing his research on Civil War era bands and music. Meg Groeling (ECW Member) spoke about the life and death of Colonel Elmer Ellsworth, helping the audience explore details of recruiting and war realities. Exploring the events leading up to the war and the situation in the western states and territories, Mark Schoenberger talked about compromises, gold rushes, and political developments on California’s road into the war. David T. Dixon concluded the conference with a strong presentation on the dilemmas of Southerners who supported the Union cause. Throughout the day, books written by the speakers were available for purchase. Cheryl Schoenberger – an award-winning artist – brought some of her small Civil War paintings for display and sale. More photos from the event and speakers have been posted on the conference’s Facebook page. Click Here, then login, and click the discussion tab on the event page. This entry was posted in Civil War Events, Emerging Civil War and tagged 1861: Marching To War, California, Civil War History Conference, Gazette665. Bookmark the permalink.